2. American College Test (ACT) score of 16 or higher or combined Scholastic Aptitude Test (SAT) score of 790 or higher (excluding writing). Caribbean Islands.) Click here to see list of countries. 7. Proof of test screening for tuberculosis by chest x-ray. Contact the Health Center at 601-979-2260 for further information. 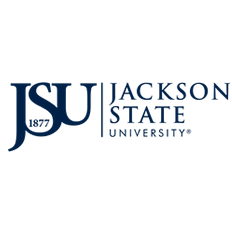 A prospective student who is not a US citizen applying for admission to Jackson State University as a graduate student must apply for admission by March 1, for Fall enrollment; October 1, for Spring enrollment; and March 15,for Summer enrollment. Applicants must submit the following required documents. 1. Application for admission to Graduate School. Click here to apply. 2. $25 application fee paid online or by cheque or money order. Applications will not be processed without payment of the application fee. Click here to pay online. 4. Certified, translated copies of all transcripts, mark sheets, and diplomas direct from all college(s)and universities attended. Transcripts must be sent directly to the Division of Graduate Studies. 1. Special application forms and materials are required for some departments with three letters of recommendation. Please visit the Department website for additional information. Click Departments for details. 2. Applicants must complete all departmental requirements prior to an admission decision. 1. Admitted student will receive an I-20 document, issued from the JSU Global Office, in order to apply for a student visa from their country of origin. Please visit JSU Global website. 2. Please contact an international admissions advisor in the Division of Graduate Studies at: internationalgrad@jsums.edu, or JSU Global.